U.S. President Donald Trump and China’s President Xi Jinping (not shown) make a joint statement at the Great Hall of the People in Beijing, November 9, 2017. Power in the world is increasingly being measured and exercised in economic terms with China, and other significant countries are already treating economic power as a core part of their statecraft. 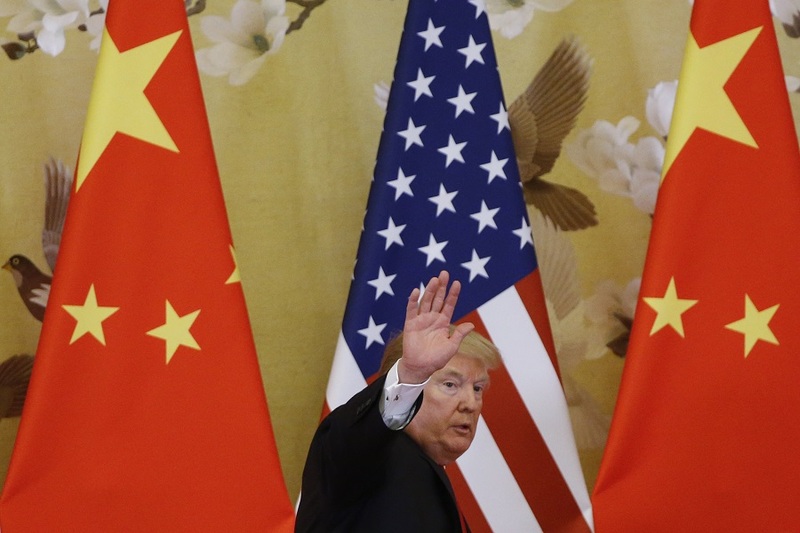 But Jake Sullivan, a former senior official in the Obama administration, argues in this podcast with Paul Haenle that there is a disconnect in U.S. grand strategy in linking foreign policy with national economic policies. The U.S. policy community, Sullivan says, needs to examine how to better use economic tools and influence to advance national security objectives—questions that Sullivan is working to address in his new role as Senior Fellow in the Carnegie Geoeconomics and Strategy Program. During their conversation, Sullivan and Haenle discussed how best to strengthen and sustain the vitality of the middle class, which Sullivan believes is a core challenge facing the United States and other advanced economies today. While Sullivan recognizes the value of President Trump’s efforts to re-focus foreign policymaking on protecting the U.S. middle class, he is critical of many of the administration’s remedies. He says the United States should maintain its foundation of alliances and partnerships, its global leadership, and its promotion of U.S. values of democracy and human rights abroad. If the United States sets these values aside, Sullivan argues, its ability to influence and inspire the rest of the world will be greatly diminished at a cost to U.S. security and prosperity.